As part of its annual ritual of perfecting its offerings, Apple has launched iPad Air 2. But is it worth an upgrade? THINNER AND WEIGHS LESS: With 6.1 mm depth, it is 1.4 mm thinner than its predecessor iPad Air and 0.8 mm thinner than iPhone 6. While nobody ever complained about iPad Air's weight, the new one is 32 gm lighter. 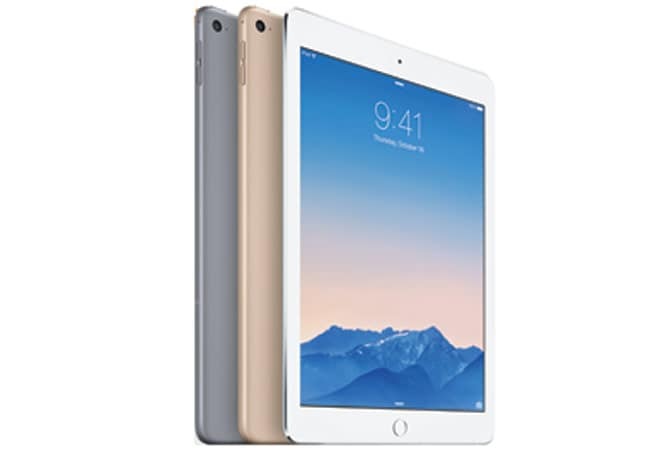 The Air 2 Wi-Fi weighs only 437 gm compared to iPad Air that weighed 469 gm. All these cuts in iPad's size together will definitely make a huge difference if one were to hold it in hand for long durations. REFLECTIVE COATING: The glare that iPad Air or for that matter any gadget attracts often plays a spoilsport while watching a video. To tackle this, Apple has added an anti-reflective coating to the iPad Air 2. Though it does not completely eliminate the glare, it does reduce reflection to a great extent. A8X CHIPSET: This is one thing that makes iPad Air 2 tower above all existing Apple devices. This new chip has been built on the second-generation 64-bit desktop-class architecture. It implies that this tablet will deliver up to 40 per cent faster CPU performance. Even the graphic performance has been enhanced 2.5 times over the A7 chipset used in iPad Air. Apple has also added a new technology, Metal. It is optimised to allow the CPU and GPU to work together and make everything appear more realistic. Launching apps, playing heavy graphic games and editing videos will be fluid and smoother. TOUCH ID: The fingerprint identity sensor that was first added to the iPhone 5S last year is now part of Apple's tablet ecosystem too. Now there is no need to key in password to unlock the device or authorise app purchases at the App Store. All this can be done with a single touch on the home key. And believe me, this is addictive. After using the fingerprint scanner in a few gadgets, going back to the traditional way of unlocking the gadgets is a pain. CAMERA: Contrary to the belief that people don't use tablets to capture images and videos, Apple has bumped up the camera on the iPad Air 2. It has got the new iSight 8 MP camera over the 5 MP iSight camera on the previous generation iPad Air. This has been synced with the enhanced image signal processor that works with the camera to give great images and videos. There are a few added features such as slow-mo video, burst mode in still image and better face detection. Even the front facing camera has been further enhanced that makes Facetime calls look better in low-light environment.